Close up of some of the new metallic, rainbow and pearlized threads that can be hand spun into the cotton threads I use in my headcovers. I do not sell threads. 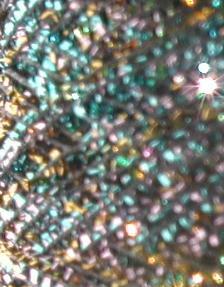 On left - Light rainbow metallic threads. 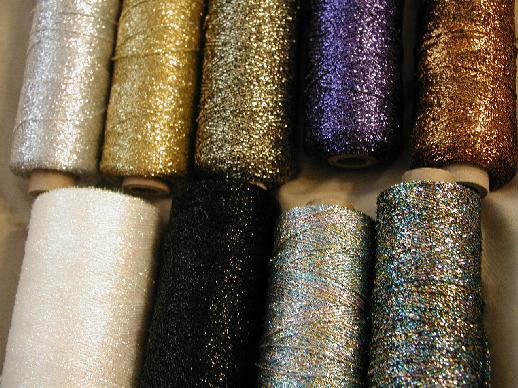 On white base of nubby threads: copper, light blue, gold, silver etc. 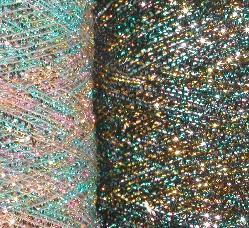 On right - dark rainbow nubby metallic threads in: black, gold, silver, blue, copper and more. 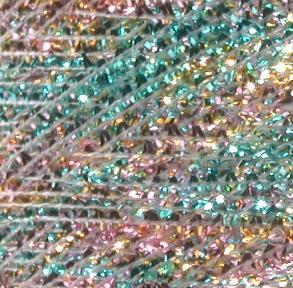 SOME OF THESE METALLICS ARE NOW AVAILABLE IN A THICKER (4PLY) THREAD. ALSO GREAT FOR STRIPES IN THICKER COTTON. Email me for info and prices.